Although we specialise in the supply and installation of bespoke wood flooring, the durability of wood means that it can often be restored, something that can transform a space. This is espcecially pertinent when there are restrictions or preservation requirements. 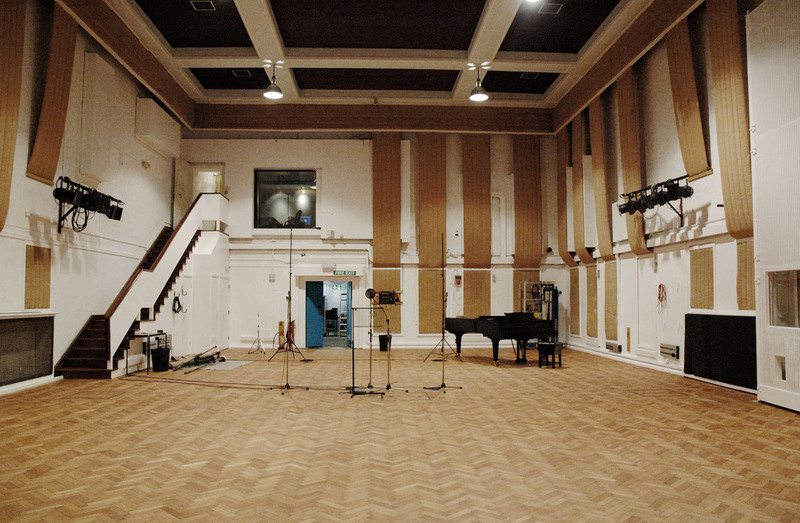 We completed the restoration of the original wood block floor at the world famous Abbey Road Studios in London. With the high levels of traffic one might expect in Studios One and Two of this world famous recording venue, the floor was in need of attention. The floor was sanded thoroughly to remove all traces of the previous seal and an oil finish applied to protect the surface. 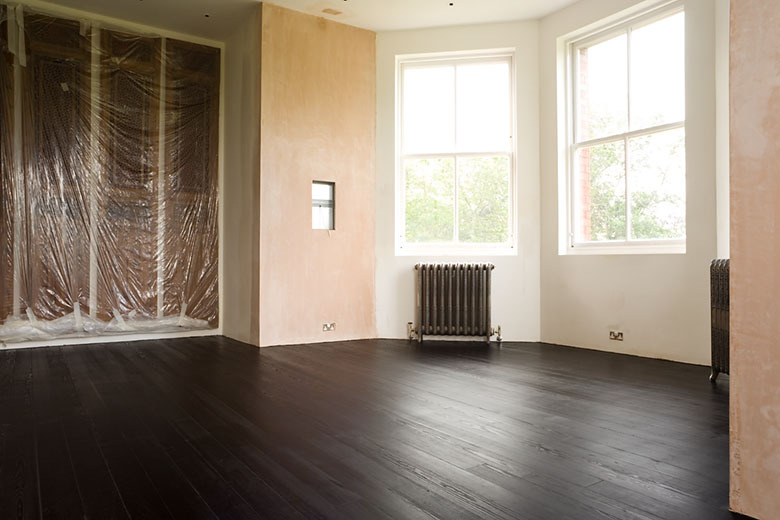 For more information on our wood floor restoration services, please call us on 020 8508 2555. 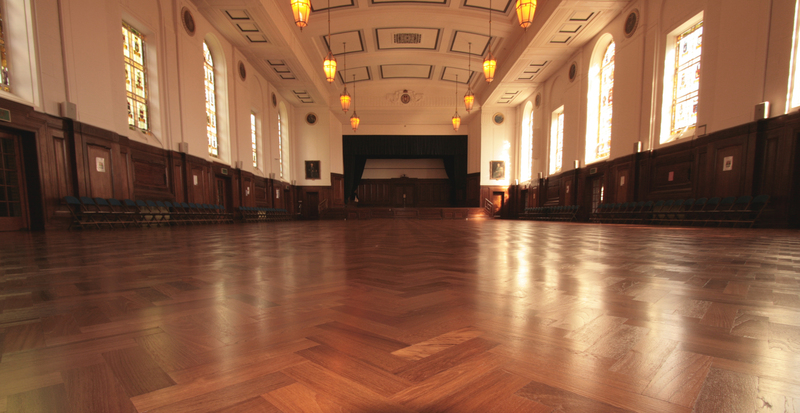 We completed the restoration of the solid wood floor within the main hall of the Royal Masonic School for Girls in Hertfordshire. These wonderful buildings have been used as a backdrop for many films and TV shows – (the main hall itself can be seen in two of the Indiana Jones films – Raiders of the Lost Ark and The Last Crusade). The school is renowned for its skilled School Drill, carried out in the main hall, a tradition which dates back to 1876. To facilitate this strictly choreographed discipline, we inlaid markers within the existing Burmese Teak herringbone floor, in contrasting Maple. These precisely placed numbers and shapes within the floor assist the participants in Drill with their graceful movement around the Hall. Our team began by removing the existing finish of the floor, which had deteriorated with the years of heavy footfall in this busy area. The precise location of the areas to be inlaid with Maple had been carefully designated. Our team removed selected areas of floor surface and, using exacting templates, inserted the maple into the floor. Once these were fixed into place, the floor was sanded to a fine finish, in readiness for the final finishing of the surface. All gaps that had appeared over time, were filled with a mixture of resin – and importantly – the sawdust from this sanding, to ensure the colour was an exact match to the floor. Finally, the area was coated – by hand – with multiple layers of hard-wearing lacquer, to protect the floor and keep it in good condition. We completed a restoration project in an apartment in Repton Park, Essex, converted from an old hospital, built in the early 1800s. We carried out some small repairs to the original Pitch Pine floorboards, which were then carefully sanded and stained black and finished with a hardwax oil.